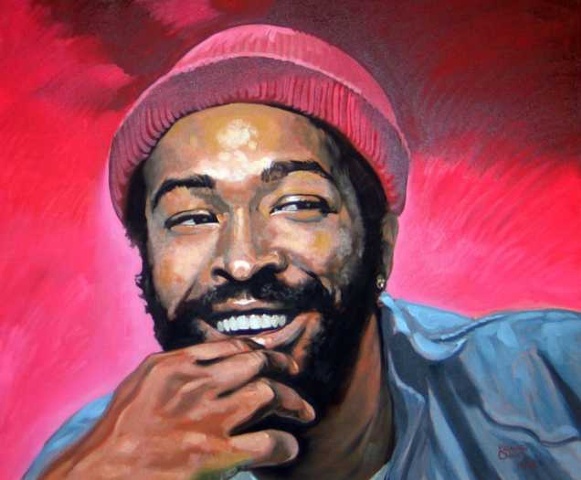 Marvin Gaye was a soul singer whose hits included "How Sweet It Is to Be Loved by You," "Mercy Mercy Me (the Ecology)" and "Sexual Healing." Gaye was an early hit-maker for Motown Records, writing and recording singles like "Can I Get a Witness" (1963), "Ain't That Peculiar" (1965) and "I Heard It Through the Grapevine" (1968). Gaye worked with just about everyone in the R&B business, writing and recording mostly mid-tempo romantic ballads, as well as duets with the likes of Tammi Terrell ("Ain't No Mountain High Enough," among others) and Diana Ross. He began to exercise more control over his recordings in the 1970s, and his 1971 album What's Going On showed he was a composer interested in more than hit singles. What's Going On was a "concept" album that spawned the top hits "What's Going On," "Inner City Blues (Make Me Wanna Holler)," and the "Mercy Mercy Me (the Ecology}. In 1982 "Sexual Healing" from the album Midnight Love, was a Grammy-winning hit that put Gaye back into the spotlight. Gaye was inducted into the Rock and Roll Hall of Fame in 1987.